Religion and State Index shows 71% of Israelis believe greatest tension in Israeli society is between seculars and haredim – because of IDF draft, exclusion of women and status quo. A year has gone by, a new Jewish year is upon us, and the tensions between secular and ultra-Orthodox Jews in Israel are intensifying. The Israeli public this year engaged in two major issues related to the interface between these two sectors: The exclusion of women in public spaces, and the haredi draft issue. Will women appear in ads in Jerusalem? Will yeshiva students continue studying Torah while other Israelis their age join the army? To what extent will the “Taliban women” go with their clothing? And can young haredi men be forced to put on the IDF uniform or join national service? These questions and others are still being debated, so it is no surprise that the Religion and State Index – published Sunday by Ynet and the Hiddush association for religious freedom and equality – points to the tensions between these two groups are the most difficult conflict in the Israeli society, leaving all other tensions far behind. Published for the fourth time, the annual Israel Religion and State Index, is based on a comprehensive telephone public opinion poll on issues of state and religion. The survey was conducted by Rafi Smith and Olga Paniel of the Smith Research Institute among 800 men and women – a representative sample of the adult Jewish population in Israel. The maximum sampling error was 3.5%. Last year, 64% of the survey’s respondents mentioned secular-haredi tensions as one of the two most difficult conflicts in the Israeli society. A year has gone by – and that number has gone up to 71%. The majority in all sectors placed the secular-religious conflict at the top of the list, followed by the tensions between Right and Left (41%), between rich and poor (33%), between Ashkenazim and Sephardim (16%), and between new immigrants and veteran citizens (9%). The growing tensions between ultra-Orthodox and secular Jews are mainly fueled by the IDF draft argument. While haredim believe that Torah studies come first, and that those who can devote their lives to Torah studies are paying their share to the people of Israel, the secular public demands equality in sharing the burden and wants to see haredim enlist as well. According to the Religion and State Index, 34% of the population (48% of seculars) believe all young people should enlist for full military service – including haredim. Thirty-two percent say haredim should at least do national service, 17% are in favor of setting quotas for Torah scholars known as “prodigies” who will be exempt from military service, and the remaining 17% (91% of haredim) are in favor of the old “Torato Omanuto” (Torah study is his profession) arrangement. Although 83% want to see a change in the current situation, it appears that following the heated draft debate – most people have become more pragmatic in the past year: The number of those demanding draft for all has fallen by 15% (from 40% to 34%) and the number of those supporting quotas has soared by 70% (from 10% to 17%). Sixty-three percent (79% of seculars) are in favor of imposing economic sanctions on yeshiva students who won’t enlist, as compared to 37% (80% of haredim and 56% of religious Jews) who are against sanctions. For many months this year, Israelis were outraged over the “exclusion of women” issue, which relates to women’s place in the public domain: Women’s appearance on billboards, women’s place in “kosher buses”, haredi newspapers’ censorship of pictures, the treatment of young girls and women walking on the street, etc. The survey respondents were asked for their opinion regarding bills determining that such discrimination in the public domain would be considered a criminal offense. Sixty-four percent were in favor (79% of seculars, and most religious and traditional Jews) and 36% opposed (84% of haredim). A daily expression of the tension between seculars and haredim can be seen in the battles over neighborhoods that are turning Orthodox, with veteran residents trying to prevent a demographic change that will affect the neighborhood’s nature. Fifty-two percent of non-haredi respondents stated that in any case, they would treat a new haredi neighbor just like any other person, and 9% would even be glad to have them as neighbors. Twenty-eight percent, on the other hand, would fight the phenomenon and 10% would leave the neighborhood. So what is the solution for this historic conflict? The less popular solution is separating religion and state – 56% are in favor (78% of seculars) and 44% are opposed (85% of haredim, 74% of religious Jews and 56% of traditional Jews). Providing freedom of religion and freedom of conscience to all citizens gained wider support – 85% (a majority in all sectors – from 56% among haredim to 94% among seculars), and only 15% were against it. According to 59% of respondents (86% of seculars), this freedom will be reflected in the recognition of all marriage ceremonies – both religious and civil. Forty-one percent are against it (including 94% of haredim, 81% of religious Jews and 52% of traditional Jews – despite their support in principle for freedom of religion). Sixty percent (84% of seculars) believe the Orthodox monopoly on conversions must be broken – 30% who support the recognition of other religious conversions and 30% who call for the recognition of “secular conversion” as well. Forty percent (98% of haredim and 82% of religious Jews) are opposed to changing the current situation. Shortly before the State’s establishment, a status quo agreement on religion and state issues was reached between David Ben-Gurion, as chairman of the Jewish Agency Executive, and leaders of the ultra-Orthodox Agudat Israel. Since then, every so often, questions and complaints are raised regarding the current situation. The issue made headlines this year following a number of private and governmental initiatives for public transportation on Shabbat. And what does the public think? Sixty-three percent (85% of seculars) are in favor of having buses on the day of rest – 20% fully support the initiative, and 43% think public transportation should be operated on Shabbat but not as frequently as on weekdays. On the other hand, 27% want to maintain the current situation, and 10% want the public transportation which already operates on Shabbat to be canceled (94% of haredim support both last options). The Religion and State Index also looked into the public’s stand on the State’s treatment of haredim. 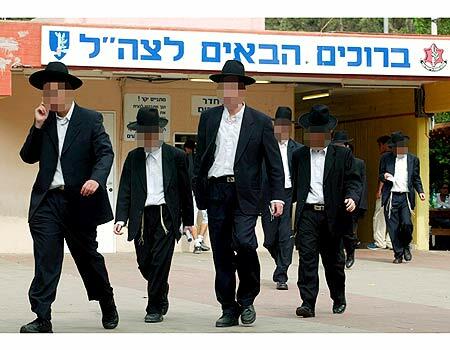 Seventy-five percent of respondents said haredi educational institutions must be forced to teach core subjects (90% of seculars and 52% of religious Jews), while 25% were against it (including 93% of haredim). Fifty-seven percent (74% of seculars) believe haredim are favored by the State when it comes to budgets, 24% (87% of haredim) feel the ultra-Orthodox public is even deprived, and 19% think haredim get exactly what they deserve. Accordingly, 78% (95% of seculars) want the government to reduce its funding of yeshivot and large families in order to encourage haredi men to join the labor market, and only 22% (92% of haredim) are opposed. In addition, 82% (90% of seculars and 78% of religious Jews) say housing benefits should be subject to the citizens’ earning power, while 18% (64% of haredim) are opposed. An absolute majority of the public (76%) is unsatisfied with the government’s activity in state and religion issues – 79% of haredim, 53% of religious Jews and 88% of seculars). Furthermore, 65% are bothered by the fact that haredi parties tip the scales in Israeli politics in a way that allows them to dictate the State’s Jewish character, and 67% believe the haredi representatives cause the wide public to distance itself from Judaism. Therefore, 44% stated they would consider voting for a party promoting freedom of religion and conscience, and 53% said they would consider voting for a party acting under the banner of “IDF draft for all”. According to Hiddush CEO Rabbi Uri Regev, “Once again the Index has found an unbearable gap between the stance of the public, which wants freedom of religion and an equal share of the burden, and the stand of the coalition, which avoids any possible conflict with the haredi parties. “The public wants compulsory service for all, core subjects in all schools, civil marriage, public transportation on Shabbat, a reduction in yeshiva students’ allowances, and a war on the exclusion of women – and instead it receives helplessness at best and political deals in the worst-case scenario.